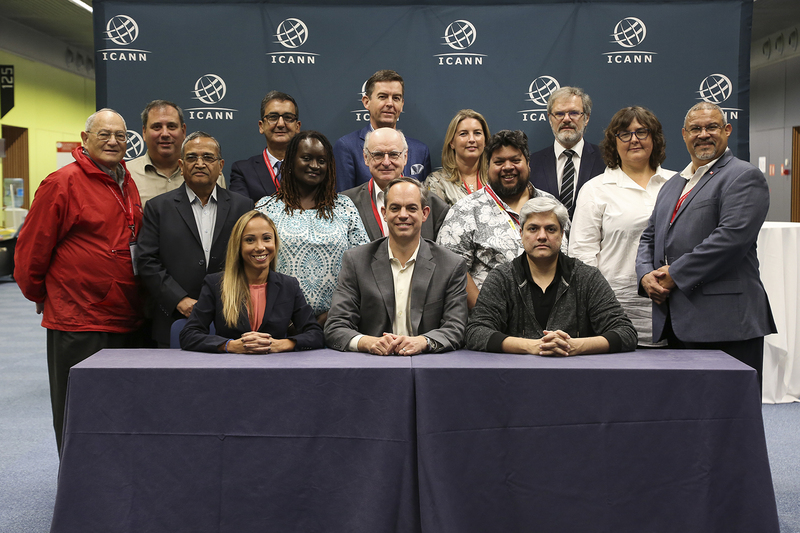 The 2019 Nominating Committee (NomCom) was convened at the conclusion of the ICANN Annual General Meeting (AGM) at ICANN63 in Barcelona, Spain. Please submit applications for the ICANN positions described above through the application portal. All applications are confidential and should be received by 22 March 2019 23:59 UTC for full consideration. Selections will be announced by September 2019. Successful candidates will take up their positions following ICANN's Annual Meeting in November 2019. Individuals selected by the NomCom will have a unique opportunity to work with accomplished colleagues from around the globe to help shape the Internet's technical coordination and policy development. 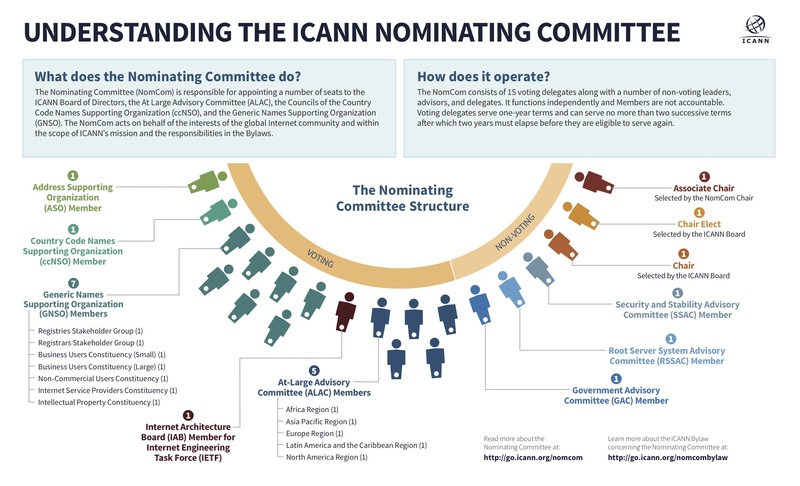 Guided by the broad public interest, those selected will work to fulfill ICANN's mission to coordinate the global Internet's system of unique identifiers, and in particular, to ensure its stable and secure operation. They will gain valuable insights and experience working on topics including knowledge, responsibility, culture, and geography. They will make a valuable public service contribution toward the functioning and evolution of this essential global resource. Fluency in English is a requirement for all positions. These positions require regular participation in teleconferences and may involve significant international travel, including travel to ICANN's three annual Public Meetings. Meetings during 2019 will be held in Kobe, Japan (9–14 March); Marrakech, Morocco (24–27 June); and Montreal, Canada (2–7 November). Reasonable direct expenses incurred in the course of service will be reimbursed. 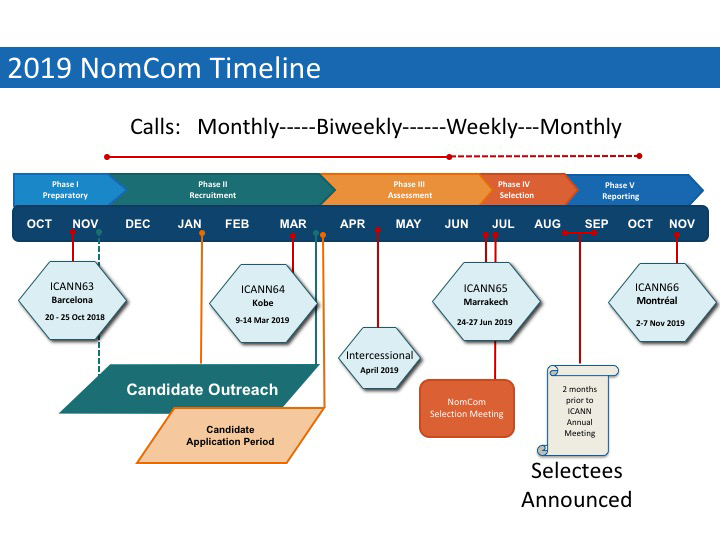 Candidate recommendations are encouraged and can be submitted through an online form at http://nomcom.icann.org/suggest. The 2016 NomCom implemented a Whistleblower email for members to use if they needed to report misconduct. The 2019 NomCom is continuing the Whistleblower email. The system allows conflicts to be declared even if it is the Chair that is being suspected of being in conflict. NomCom Staff administers the mailbox and shares information with ICANN Legal for further review. The community and NomCom members may report misconduct or suspected conflict by sending an email to nomcom-ops-team@icann.org. 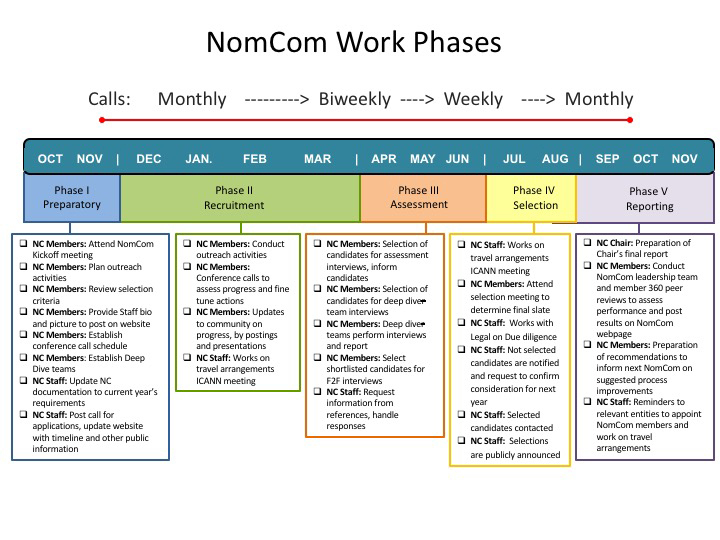 The NomCom is designed to function independently from the ICANN Board, Supporting Organizations, and Advisory Committees. NomCom members act only on behalf of the interests of the global Internet community and within the scope of the ICANN mission and responsibilities assigned to it by the ICANN Bylaws. The challenge for the NomCom is to integrate these perspectives and derive consensus in its selections. 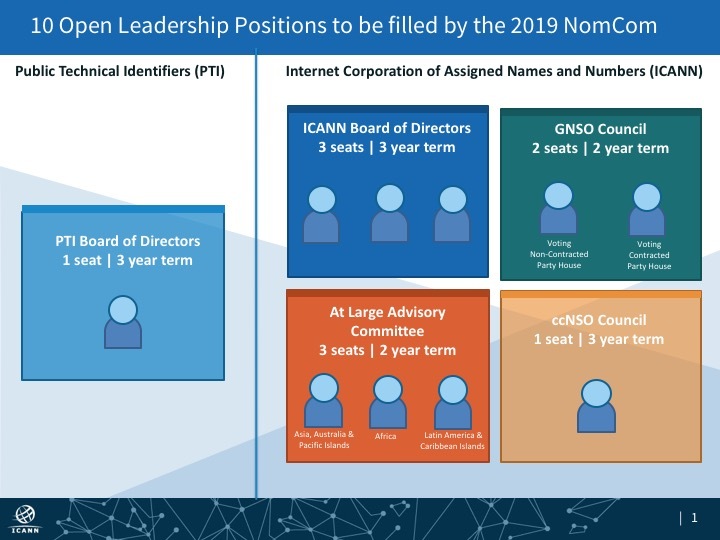 Although appointed by Supporting Organizations and other ICANN bodies, individual NomCom members are not accountable to their appointing bodies. NomCom members are accountable for adherence to the ICANN Bylaws and for compliance with the rules and procedures established by the NomCom.